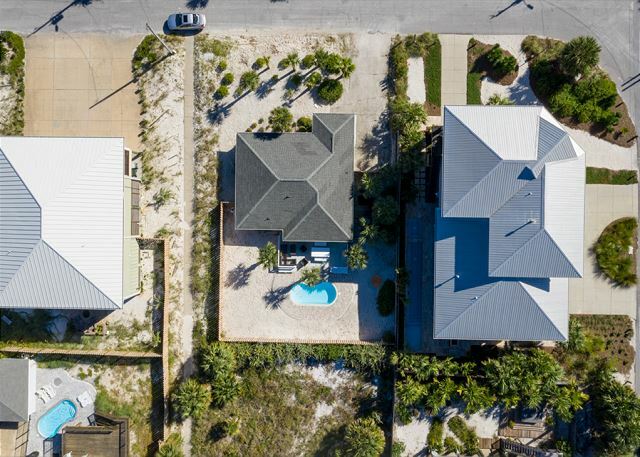 Unobstructed beach access from this charming beach home located just across the street from the Gulf. Nicely landscaped grounds surround this home. Enjoy cooking on the grill and relaxing on the back deck. Comfortable living area and great kitchen add to the laid back atmosphere of this wonderful vacation home. Located in the second block of Ariola Drive conveniently located within walking distance or a short drive to dining, shopping and entertainment. Perfect for small families! Come and enjoy all that the beach offers! Bring fido if you like as this home welcomes family members of the canine persuasion up to 20 lbs. NEW POOL! Book now to secure your spot and enjoy this new in-ground swimming pool. Our family had a wonderful week at our vacation house. The addition of the pool was delightful. We're so glad to hear that you enjoyed your stay at 203 Ariola Dr. We hope to see you again soon! Paradise Beach Homes are a pleasure to work with. We had a great stay. We had an Awesome time the entire week. The weather was great in spite of Hurricane Irma's threat to the coast, sunshine all week! The cottage was perfect for us and our Jack Russell, Ringo! It was clean and the a/c felt so good upon entering the first time. The house was well laid out & very comfy. Everything we could possibly have needed was there, even the little things, like a dog bowl waiting for our furry boy! A well thought out home for sure! The location was absolutely perfect & close to everything...shops, restaurants and the beach! Just a short walk to the beautiful gulf beach. We were very surprised just how close the boardwalk access was to the beach. We'll definitely keep our info on this "gem" for a future visit!!! very nice home and short walk to the beach. Would recommend to friends and family. the house is in a great location and is very roomy. it was clean but the furnishings could use an upgrade. unfortunately we experienced rainy weather for each stay and we had to spend lots of time inside. it would have been less depressing if the house had been furnished with nicer more updated furniture. Enjoyed the beach, fairly close to beach access, lots of new building going on, blocked some of the Gulf view, not real bad. Located on a busy street, many inlander/bay side parking near beach access, drivers and scooters tend to exceed safe speed for pedestrians enroute to the beach. Watch your kids on the road. Property landscaping could use some attention, poison ivy/oak on premise, near side door with garden hose, received exposure last day. Overall we had a good time, a bit pricey for the location, but would rent again, but would be more vigilant about poisonous plants! Although our reservation had to be changed due to the original property being sold, our replacement property (provided at the same rate) was probably better than the original--perfect location to walk to the bars and to the beach, quiet neighborhood, spotlessly clean, functional and spacious kitchen, grill and backyard space. Easily checked in early and friendly service. Overall a great vacation rental. Beach was wonderful, even for us locals. Winter is a good time to be there - less people, more space. Weather can be "iffy" but you'll get more good days than bad. Will do it again. Dog loved it too! We're so glad you enjoyed your stay at 203 Ariola Drive! It's a great home and guests love it including four-legged family members! We look forward to your return. Wasn't sure what to expect but when we opened the door there were nothing but smiles. Very comfortable layout, bright and so clean. Big deck in the back with privacy. The kitchen is well stocked with everything on would need right down to martini glasses! The location is perfect and so close to the beach. And best of all we were able to bring four legged family member. Thank you for sharing your wonderful home. We had a great time. It was a nice place to stay. Very comfortable. We loved it. Cute little house for 2 adults and 2 children. It was clean and well maintained. The crosswalk to the beach was a little farther than I thought it would be from looking at the site map. And there was construction going on across the street, which woke us around 6:00 a.m. in the mornings. I would have liked to know about this beforehand, we would not have rented this property at this time. We loved this house. It's only a few houses down from the boardwalk over the dunes to the beach. Tile floors were easy to clean and great with our dogs. We loved that we were close to the beach but could also walk to restaurants and things. 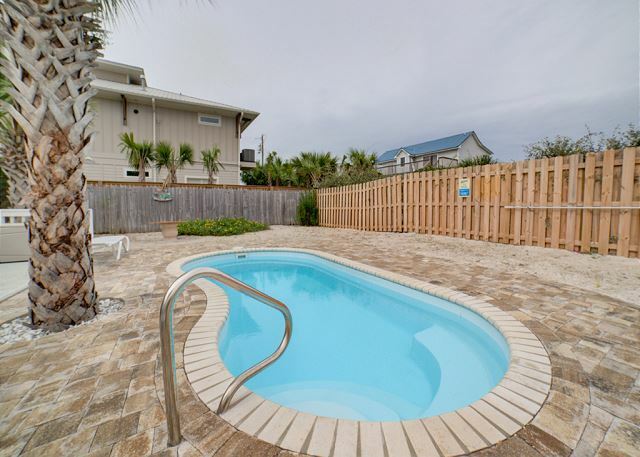 This house will definitely be on our short list when we come back to Pensacola Beach! We had a very positive and pleasant experience all around. The Cottage was very comfortable with a convenient short walk to beach. 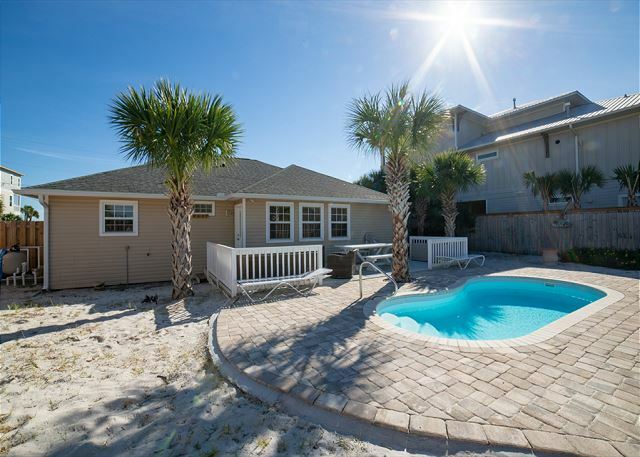 Great experience and would highly recommend this property and Paradise Beach Homes. House was a perfect size for our family of 4 adults and 2 kids with room to spare. The house was clean and spacious. It was half a block to beach access and perfectly located 2 blocks from restaurants and stores. We were able to rent bicycles and ride everywhere we needed to go. We were very impressed with this little cottage, but should have chosen a 3 bedroom. verry attractive decorating and kitchen equipment abundent. had an empty propane tank which they promptly replaced with a full one. would love to stay again with a few less children!! Leaving by 10:00 was a challenge. Thank you again PBH!!! The house was perfect. The size was awesome. The decor was very pretty. Access to the beach was very cool as well being just a block away! It was well stocked with linens, towels and dishes! We all loved staying in the cottage!